Check engine light has been on for a few weeks now. When it first came on it was not on all the time it was on/off but now it is always on. I checked the code with a code reader and it is code P0101, mass airflow circuit range performance. (Mass airflow sensor is out of expected range) So I did a little research on causes of this code and ended up checking the intake gaskets for vacuum leaks, the vacuum hoses, the vacuum pressure, the exhaust back pressure, and the wires to the MAF sensor. All looks good. So then I cleaned the MAF sensor and throttle body. Then I used a multi-meter to check voltage to and from the MAF sensor, results were as follows, 12 volts supply = good. 12 volts ground = good. Now the return signal wire I believe something is off, it was around 4.40 volts -4.75 volts at idle and then *decreased* to around 4.05 volts - 4.39 volts at 2,000 rpm's. So I did some research on the type of MAF sensor this truck has and it is a “hot wire” type MAF sensor. 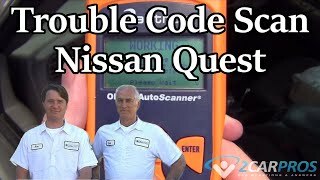 I found There is a element inside the sensor that heats up to a specific temperature when the vehicle is started, then as rpm's increase and air is sucked in it cools the element causing it to need more voltage to keep the element at the specific temperature. This increase in voltage is how the computer knows how much air is being sucked into the engine. But, since with mine, the voltage decreased when the rpm's increased. Causing the code to be set. Now I am just trying to be sure, is this a faulty/worn out MAF sensor? Or am I possibly missing something? Please help! This has been driving me nuts for weeks! I just really need to be sure what exactly the problem is because I do not have the money to be replacing parts that do not need to be replaced. I will get the description for you for the code. One thing, you cannot clean a mass air flow sensor. The hot wire gets carbon burned on the end and that is a big reason for the bad readings. There is no cleaner for the hot wire as no cleaner can remove burned on carbon. The PCM compares the actual MAF sensor frequency signal to the predicted MAF value. This comparison will determine if the signal is stuck based on a lack of variation, or is too low or too high for a given operating condition. If the PCM detects the actual MAF sensor frequency signal is not within a predetermined range of the calculated MAF value DTC P0101 sets. - DTCs P0102, P0103, P0106, P0107, P0108, P0120, P0220, P0442, P0443, P0446, P0449, P0455, P0496, P2135 are not set. - The engine is cranking or running. - The ignition 1 signal is between 11-18 volts. - The throttle position (TP) indicated angle is less than 95 percent. - The change in the TP indicated angle is less than 5 percent. - The MAP sensor is more than 17 kPa. - The change in the MAP sensor is less than 3 kPa. - The above conditions are met for 1.5 seconds. The PCM detects that the actual MAF sensor frequency signal is not within a predetermined range of the calculated MAF value for more than 4 seconds. - The PCM illuminates the malfunction indicator lamp (MIL) on the second consecutive ignition cycle that the diagnostic runs and fails. 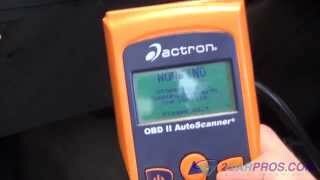 - The PCM records the operating conditions at the time the diagnostic fails. The first time the diagnostic fails, the PCM stores this information in the Failure Records. If the diagnostic reports a failure on the second consecutive ignition cycle, the PCM records the operating conditions at the time of the failure. The PCM writes the operating conditions to the Freeze Frame and updates the Failure Records. - The PCM turns OFF the malfunction indicator lamp (MIL) after 3 consecutive ignition cycles that the diagnostic runs and does not fail. - A current DTC, Last Test Failed, clears when the diagnostic runs and passes. - A history DTC clears after 40 consecutive warm-up cycles, if no failures are reported by this or any other emission related diagnostic. 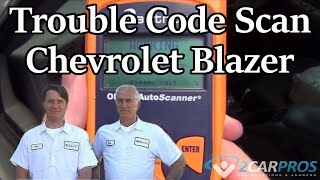 - Clear the MIL and the DTC with a scan tool. - A low minimum air rate through the sensor bore at idle or during deceleration may cause this DTC to set. Inspect for any vacuum leak downstream of the MAF sensor. - Inspect for any contamination or debris on the sensing elements of the MAF sensor. - Inspect the air induction system for any water intrusion. Any water that reaches the MAF sensor will skew the sensor and may cause this DTC to set. - A wide open throttle acceleration from a stop should cause the MAF sensor parameter on the scan tool to increase rapidly. This increase should be from 3-10 g/s at idle to 170 g/s or more at the time of the 1-2 shift. If the increase is not observed, inspect for a restriction in the induction system or the exhaust system. - A high resistance of 15 ohms or more on the ignition 1 voltage circuit may cause this DTC to set. A high resistance may cause a driveability concern before this DTC sets. - The barometric pressure (BARO) that is used to calculate the predicted mass air flow value is initially based on the MAP sensor at key ON. When the engine is running the BARO value is continually updated near wide open throttle. A skewed MAP sensor will cause the calculated mass air flow value to be inaccurate and may result in a no start condition. The value shown for the MAP sensor display varies with the altitude. With the ignition ON and the engine OFF, 101 kPa is the approximate value near sea level. This value will decrease by approximately 3 kPa for every 305 meters (1,000 feet) of altitude. - A high resistance on the 5-volt reference circuit of the MAP sensor may cause this DTC to set. - A high resistance on the low reference circuit of the MAP sensor may cause this DTC to set. 5. This step will determine if the MAP sensor pressure is within the proper range for a given altitude. 6. This step will determine if the MAP sensor voltage is within the proper range at idle. 7. This step will determine if the MAP sensor responds properly to the change in manifold pressure. 8. This step will determine if the TP sensors are operating properly. 9. This step will determine if any mechanical faults have caused this DTC to set. 10. This voltage drop test will determine if high resistance has caused this DTC to set. Hmm, maybe the element is carbon burned then, seeing as the sensor is fourteen years and 240,000 miles old. Tomorrow when everything opens back up after Christmas I am thinking I am going to call around to find a working used MAF sensor to swap and test. Hopefully that fixes the problem. I would not go the used route at all. I would go with a new or re-manufactured unit. Try it and let us know the results. Alright thank you very much for the advice. I will pick up a new sensor ASAP and get back with the results soon as I put it in. You are welcome. Please keep us updated. Yes absolutely. Once I put the new sensor in or run into anything new, whichever comes first I will post an update. Hello I have an update since last time, I have not done anything new to the truck but when I went into town yesterday the check engine light turned off and has not come back on. Tomorrow tho I am going to use my friends garage since it is freezing out and take another look and test the voltage of the MAF sensor again to see if anything is different. I am thinking something had to have changed to make the light turn off. Oh. Also, my trip into town is about eight miles one way and I was out for about two hours. It turned off when I started my truck after my first stop in town and stayed off since. I am about to head to work tho so we will see if it stays off on my trip to work and back. Okay good. It will come back on at some point as nothing has been done to repair it. At that point when the light returns you will be able to continue with the diagnosis. Yes it did come back on on my way to work. But I get paid tonight so I am going to pick up a new MAF sensor. I will be back with the results. Okay, sounds good. Let me know. So I ended up having to get a new battery as well as this -15 degree weather ruined the old one. So today I pulled the old battery out, put the new sensor in, then the new battery. It is still idling rough but I drove to work and the light has not came back on and performance seems to be a bit better. Yesterday before work I plugged my code reader in just to check to see if there were anymore codes or anything and there was the P0101 of course but also there was code P0102, mass airflow circuit low. I did not really have any time yesterday to mess around with anything so I went to work then last night when I got home from work I plugged my code reader in again and there was the P0101 still but no P0102. But there was also code, P0717, system too lean bank 1. I have not got a chance to plug it in again since I put the new MAF sensor in but I will when I get home from work in a couple hours. Also, I have no misfire codes but it does feel like it is misfiring. I am thinking when I get home I am also going to take a look at and clean out the IAC, ERG valves and the fuel injectors as well. Also I am going to take a second look in looking for vacuum leaks. I am starting to feel like this is one of those things where there is a lot of little problems. But, if there is anything I have not done that you think might be a cause please do let me know I can use all the advice/help I can get. Look for vacuum leaks. It could be the cause. When I first started looking into this I checked for vacuum leaks but I did not spend too much time on it, maybe your right. It could definitely be a vacuum leak, to make this much easier tomorrow I am going to get a fog machine as a fool proof way to check for vacuum leaks. It is just hard to really visually check with there being many lines that are not 100% visible. Also, something I completely forgot in the beginning, when starting the truck it kind of kicks as soon as it turns over when the engine is hot. It does not have a hard time turning over or anything just as soon as the engine fires it sort of seems like it kicks back? Only when the engine is hot though. Any idea what the cause of this could be? Would it be related to the rough idle? Or possibly a faulty ECT sensor or something? Now that we are really getting into things a little more about the truck, I live in Vermont. I bought the truck off a guy here towards the end of the summer, he was selling it because he had a shop in the area replace the fuel pump and they overcharged him big time and he did not have the money to pay them. This is only the trucks fourth winter in Vermont as it was originally from Arizona. The guy I bought it from also had all of the seals/gaskets/plugs In the engine and transmission replaced what would now be around 70,000 miles ago. Since I have owned it the only things I have replaced so far are the oil pressure sensor and now the MAF sensor. Tomorrow when I pick up the fog machine I am also going to get all new plugs and replace those as well as check the wires. Okay, make sure you remove the oil fill cap to see if the intake is leaking. Alright, so I removed the oil cap and checked for vacuum leaks with the fog machine, I did not see any leaks whatsoever. Spent a good twenty minutes on it just to be sure. Then I replaced spark plugs and tested all the wires for resistance and they were all good. Something I found a little weird tho is that the old spark plugs, seven of them were gaped 10mm bigger then original factory specs. And one was exactly at factory specs. (0.060mm) the new plugs I got are gaped to 0.040mm tho because there was an update on the factory specs and it is now 0.040mm. It is idling a little smoother now but something still does not feel right. And also I was going to clean out the EGR but I do not think my truck has one, kind of puzzled me at first because I know exactly where they are on these trucks and it is not there, lol. But I did a little research and looks like some model years were made without one. And I could not find the IAC either? I checked where it would usually be on this model truck (on the right side of the throttle body) and it is not there? Any clue where it could be? Or what else could be causing it to idle rough? Do you have a vacuum gauge? Okay, there is no EGR on this one. There is also no IAC. The throttle body controls the idle speed and does not require the IAC. No, I do not have a vacuum gauge myself. And, oh alright that is interesting. Hmm, actually what about the camshaft position sensor? Or crankshaft position sensor? Would I be wrong if I said both could possibly be the cause of the rough start and idle? Just trying to figure out all of the possibilities so I can test/look into whatever else that could possibly be a cause tomorrow. I have the day off work so Ill be spending most of the day trying to figure this out. I just really want it fixed asap as this truck is my daily driver during the winter months and I also absolutely love this truck and I would hate to damage anything else by result of driving it in this condition.